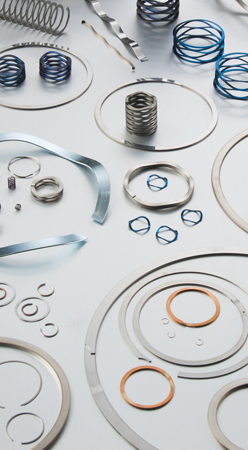 To request a Smalley Custom Retaining Ring or Wave Spring quote, please enter the Smalley Wave Spring or Snap Ring Part Number, the material the snap ring or wave spring needs to be machined from, estimated quantity and how you would like us to respond to your wave spring or retaining ring request. Smalley engineers are available to consult on your unique assembly needs. We have installation tooling, removal tools and have also worked with 3rd parties to implement automated assembly tooling techniques. Please note our standard turnaround time for quotes is 24-48 hours. Please note that complexity of design, confirmation of customer drawing/spec sheets, high volume, additional part/quality requirements, etc. can affect this standard turnaround time.